The World has lost one of its brightest lights. Nelson Mandela is a legend, a modern day hero. 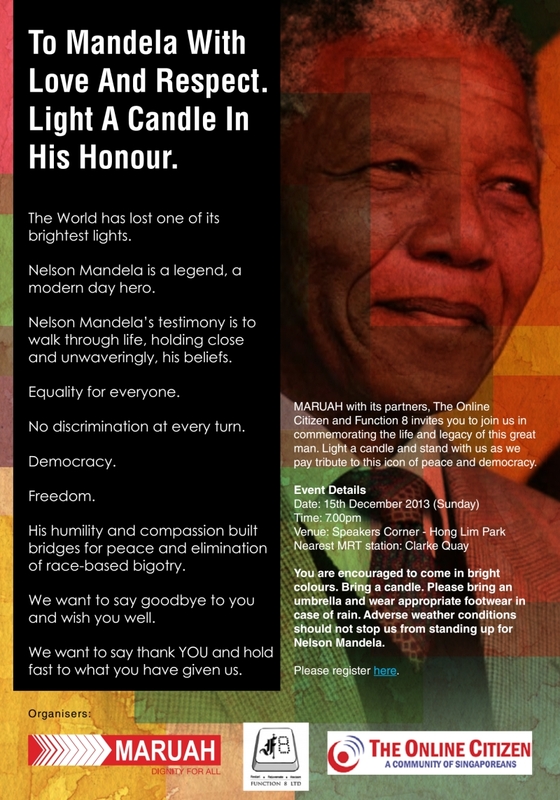 Nelson Mandela’s testimony is to walk through life, holding close and unwaveringly, his beliefs. No discrimination at every turn. 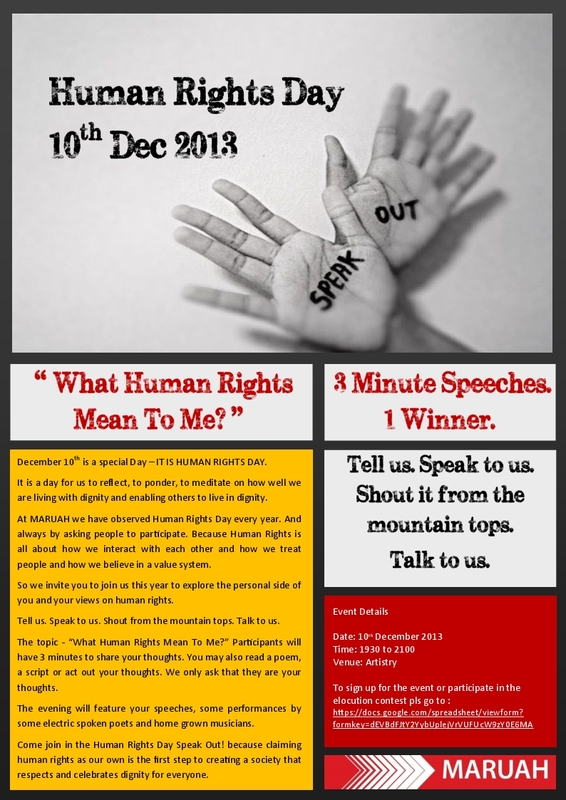 Human Rights Day 2013 – Speak Out! 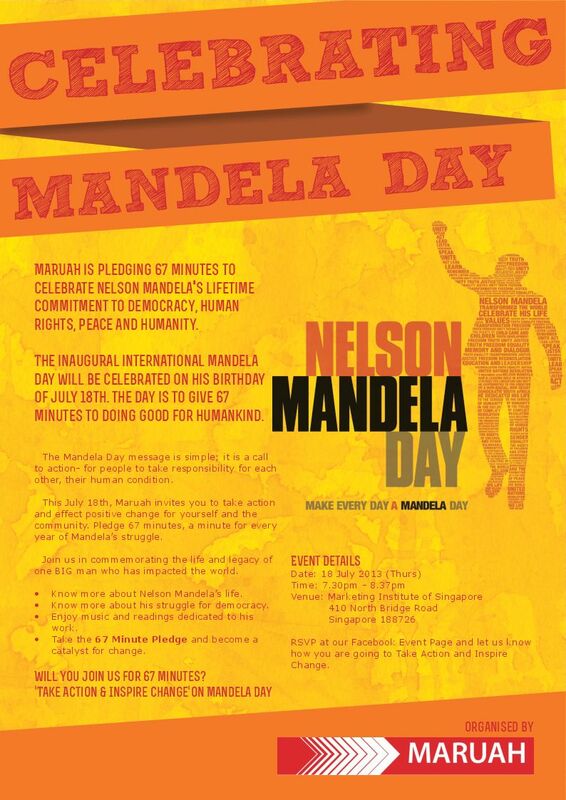 December 10th is a special Day – IT IS HUMAN RIGHTS DAY. It is a day for us to reflect, to ponder, to meditate on how well we are living with dignity and enabling others to live in dignity. 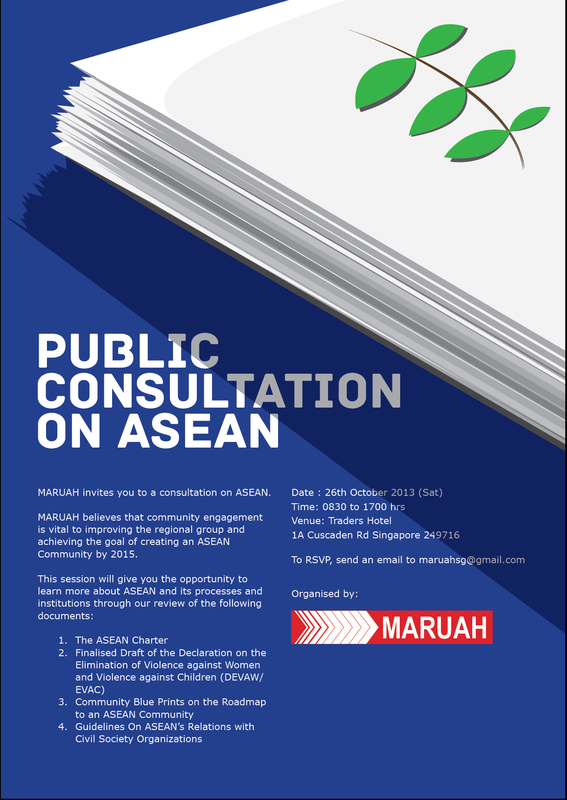 MARUAH invites you to a Public Consultation on ASEAN. This is an opportunity to become more familiar with ASEAN and its processes, to make a commitment to ASEAN for our own national interests for our community and the people in the region. The blogging community – collectively called #FreeMyInternet will be organising a protest and online blackout next week against the new licensing requirements imposed by the Media Development Authority, which requires “online news sites” to put up a “performance bond” of $50,000 and “comply within 24 hours to MDA’s directions to remove content that is found to be in breach of content standards”. To RSVP, visit the Facebook event page below. 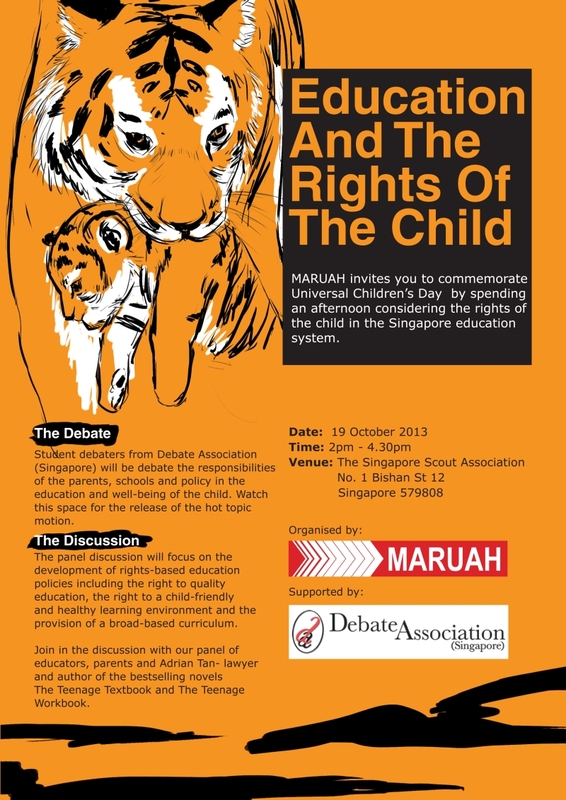 Join us at a public forum to discuss the recent SMRT strike, and its impact on human rights in Singapore. RSVP at the Facebook event page here.